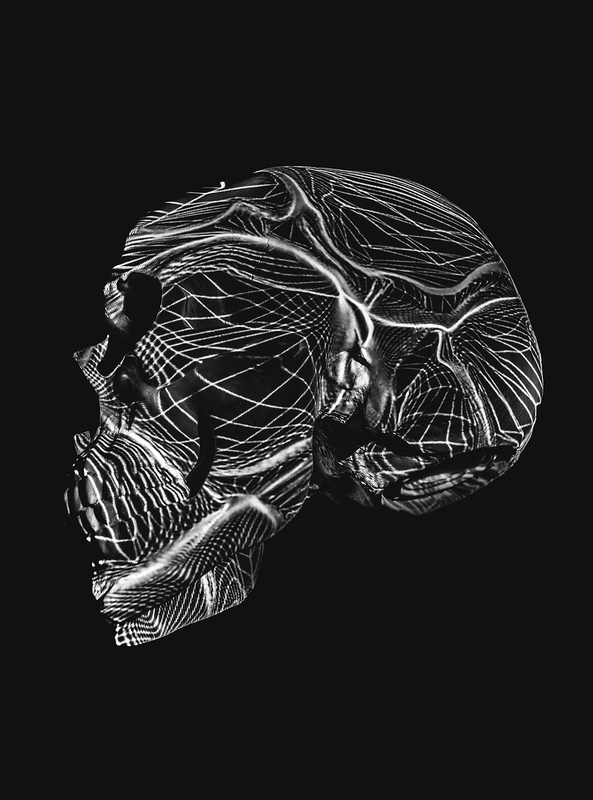 Following on from a previous project of the same name Artificial Anatomy 2.0 will further explore the same themes of surface, shape and volume. 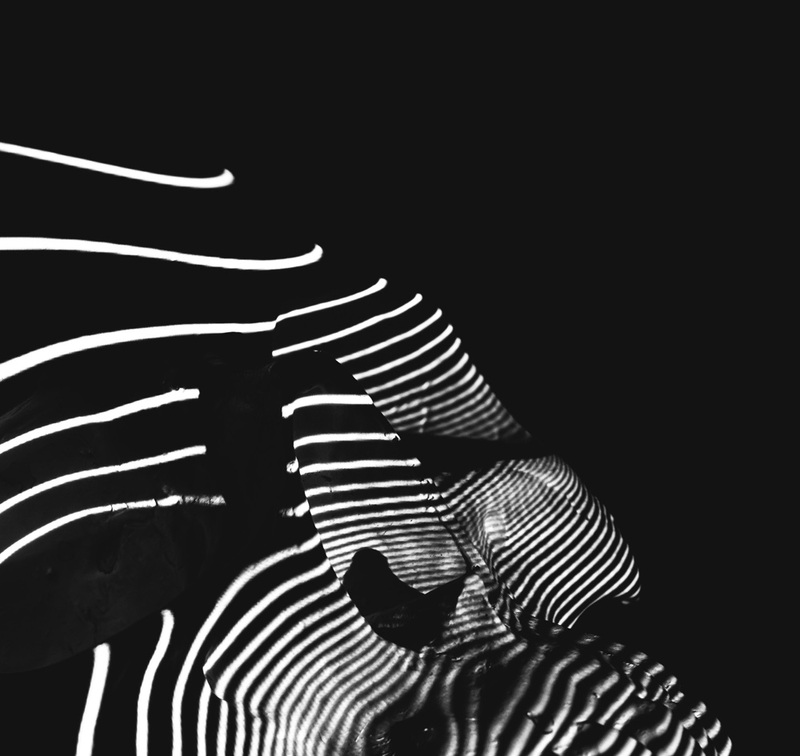 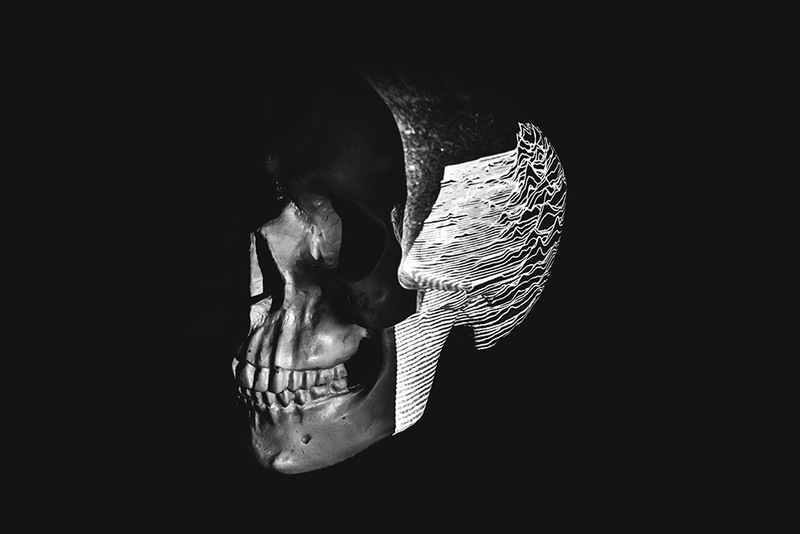 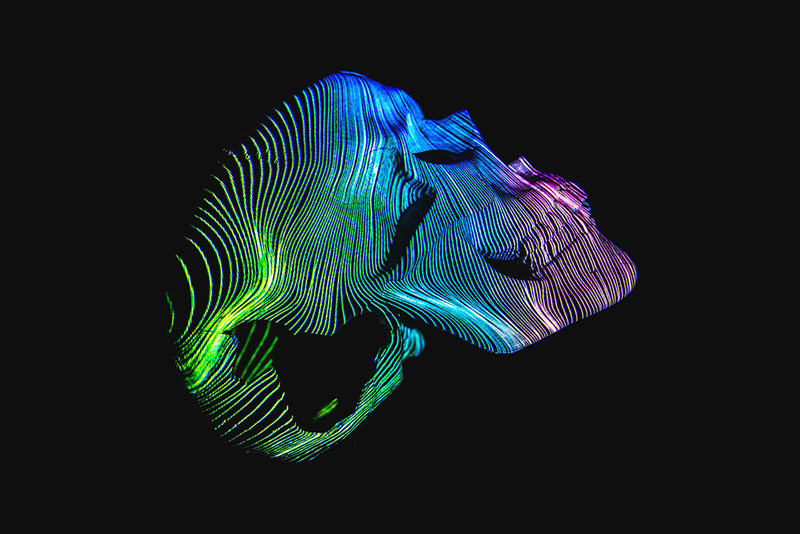 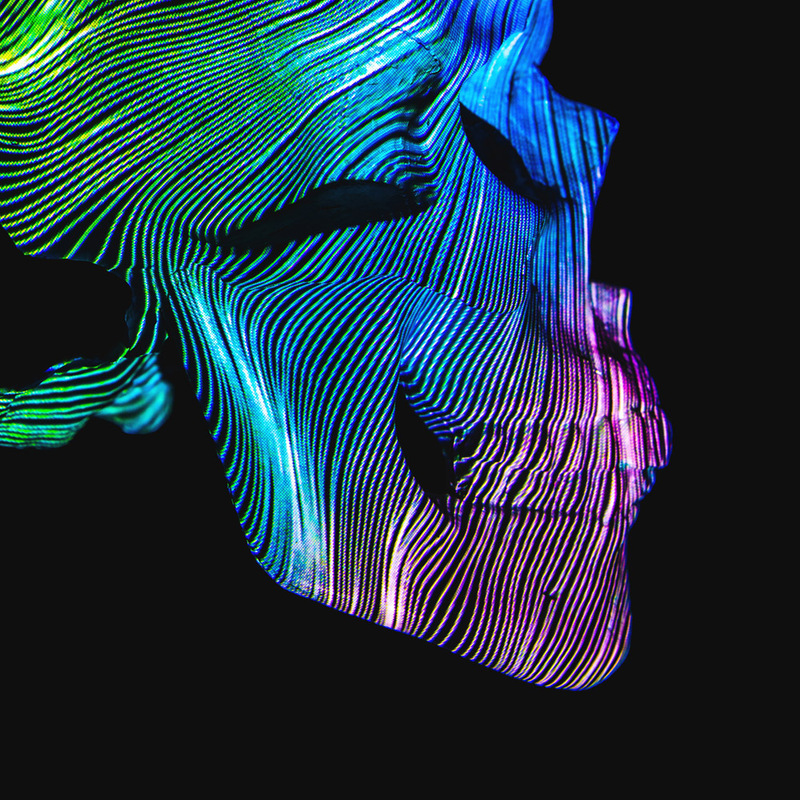 These are a selection of test images intended to explore how the surface the skull is partially defined by a series of randomly projected contours and linear forms. 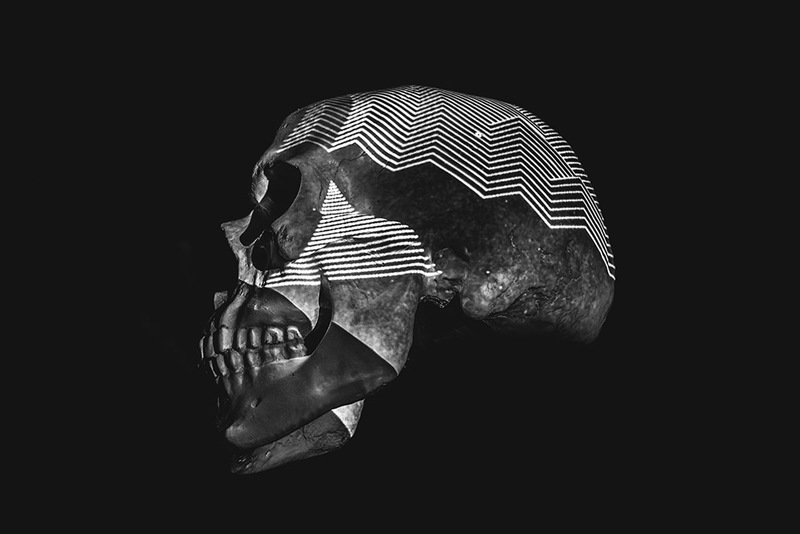 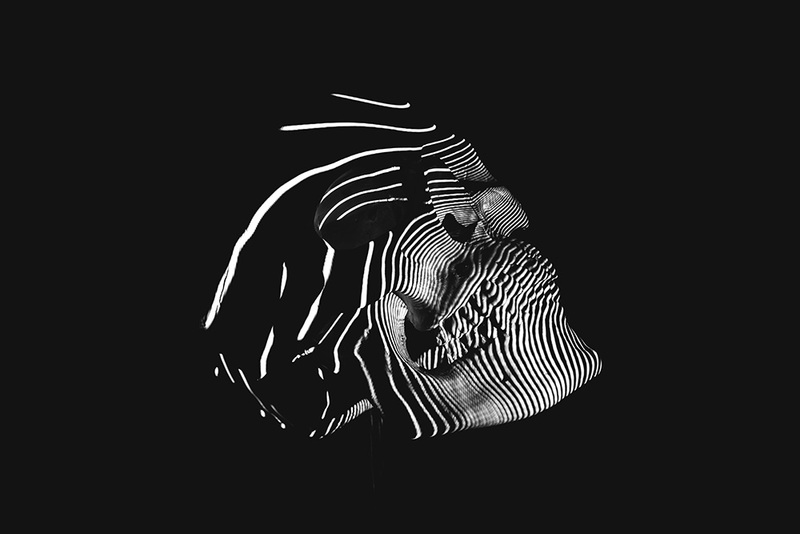 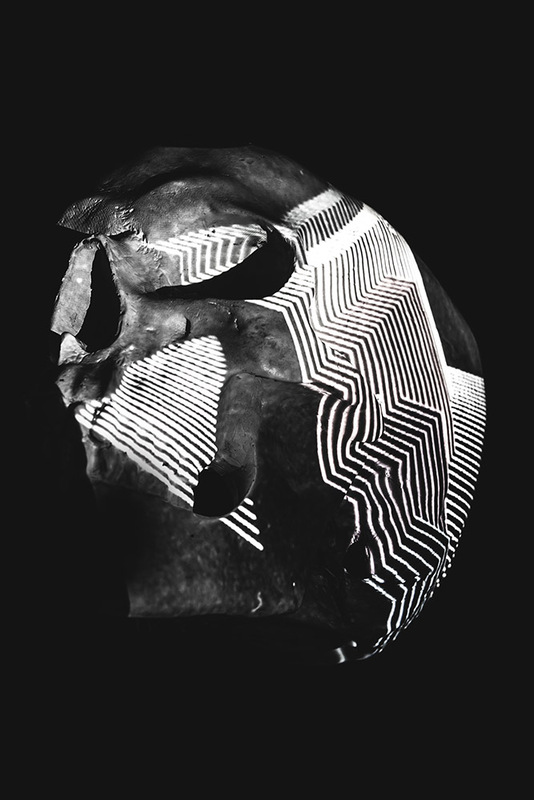 Whilst the shape and form of the skull is partially revealed by the projected image the random spacing and shape of the lines also begin to warp the shape of the subject, producing some interesting results.